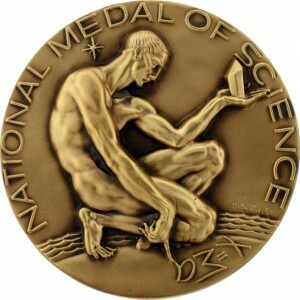 The National Science Foundation (NSF) is seeking nominations for the 2016 National Medal of Science, which is considered the nation’s honest honor for those who work in the physical, biological, mathematical, engineering, behavioral, and social sciences. This honor is presented annually by the President at a White House ceremony. First established by Congress in 1959, nearly 500 pioneering individuals have been honored with the National Medal of Sciences, including several members of GSA. NSF requests nominations of those who have “extraordinarily advanced the scientific enterprise” by April 15, 2016. Self-nominations are not permitted, so it is up to you to suggest deserving colleagues. A complete nomination includes a nomination form, 3–5 letters of support, and a list of up to ten publications and patents. Former GSA president Judith Kimble currently serves as chair of the President’s Committee on the National Medal of Science.